Ether went down on Jan 16 but is recovering today on Jan 17, trading around $122.24, reports Dmitriy Gurkovskiy, Chief Analyst at RoboForex. On H4, the crypto diverged and then formed a descending trend after hitting the support. 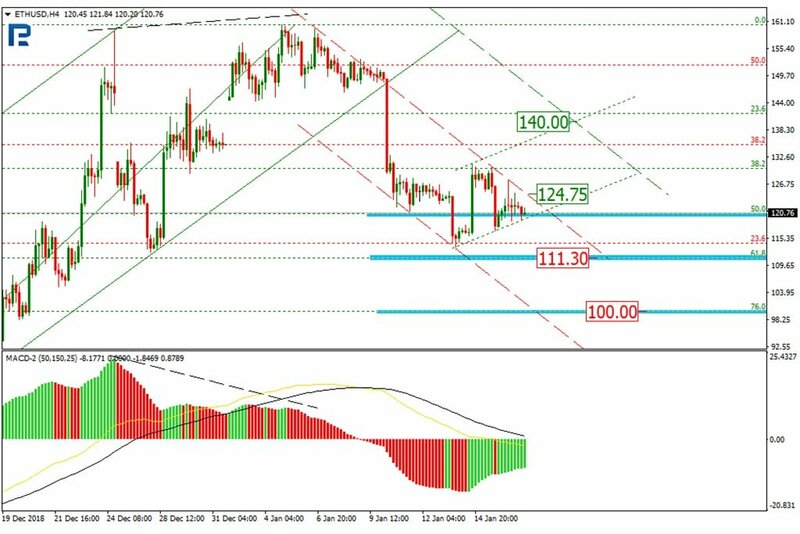 The price went down to almost reach 61.80% Fibo, or $111.30. The price may go down further to reach 76%, or $100, in case the local resistance at $130.50 does not get broken out. otherwise, the price will go up to reach $140.00 or even higher. On H1, the local trend is turning into a triangle. The Stochastic converged, which signaled a trend change, and the price starting forming an ascending move. 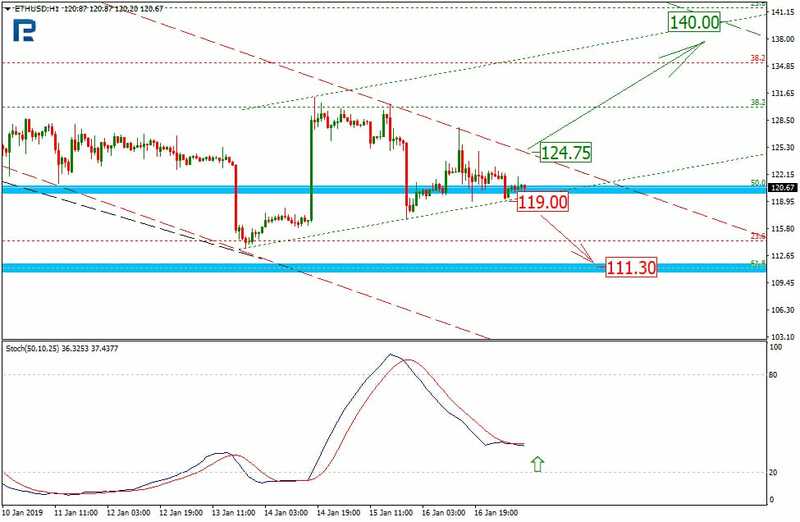 For final confirmation, however, one should wait for a golden cross and the resistance breajout at $124.75, which would be followed by an upmove towards the projection resistance at $140.00. Conversely, if the price hits $119.00, the price is likely to start looking for the new lows. Fundamentally, there’s only one major even for Ethereum now: the Constantinople hard fork failed and was canceled. It was to take place on Jan 16 at block 7,080,000. The hard fork is reported to have a lot of changes, including less reward per block and the difficulty bomb shift. The mining reward was supposed to shrink from 3 to 2 coins per block. All major crypto exchanges agreed to this hard fork, and it seemed there were no problems at all, but something went wrong. Some say the hard fork cancellation is due to the update’s vulnerabilities. There was a leakage in the source code which could be used by wallet hackers. The point was that the code allowed to make the same transaction without any notifications, which could let the hackers do their job before the leakage was found. The update has been postponed for an uncertain period, which is not good for the ETH. This is not the first time Constantinople gets postponed; the hard fork was first scheduled for October 2018, but then it was canceled because most miners were not ready for it.